The classes are open for musicians, actors and movers of all levels with an interest in exploring the possibilities of the voice in motion as a means of personal – artistic expression beyond limiting self-believes. Previous experience is not compulsory. Each class will include guided explorations to understand the connection between breath, movement and sound emission, hands-on work with partners, blindfold sessions, authentic movement and ensemble vocal improvisation to support through simple scores a fluid use of the voice and our innate sense of musical intuition. 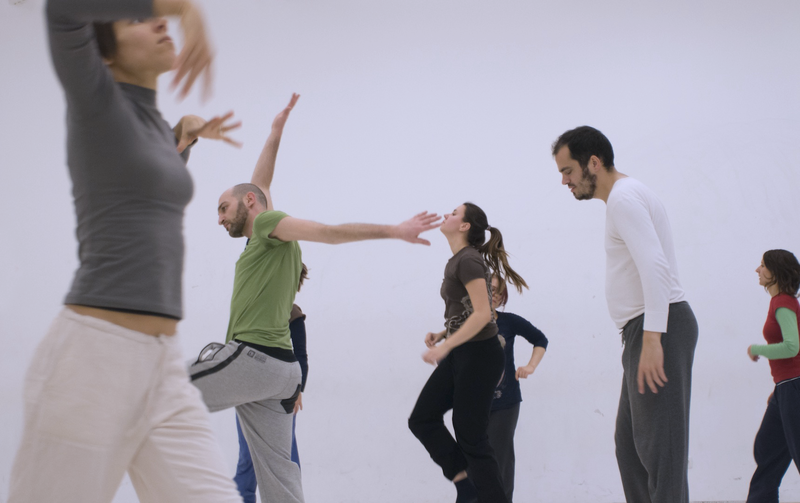 Through playful exercises we will engage the vocal body in a poetic-energetic process made of sound, impulses, fragments of surreal stories and dialogues. You will learn how to give shape to a physical-vocal impulse, channeling its energy in readable and articulated form in the present moment. Alessio Castellacci (Berlin) works internationally as performer, sound composer for theatre and teacher. He owns a degree in Developmental Psychology at Università la Sapienza (Italy) and one in Choreography at the Dance Maker Dep / Artez (the Netherlands). He has recently worked as vocal performer for Tino Sehgal in Documenta 13 (Kassel), and is currently assisting as voice coach Dani Brown in her new performance solo to be premiered in Kampnagel Hamburg. His approach to voice and movement is influenced by his learning with (a.o.) Patricia Bardi (vocal dance), Meredith Monk, Eva Karczag and Mary O’Donnell (release technique), and ethnomusicologist Marc Van Tongeren (overtone singing technique). He is a founding member of artistic collective Fingersix.